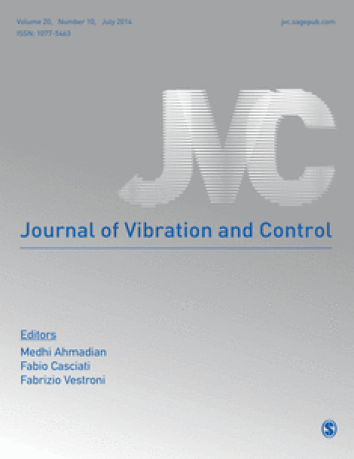 SAGE Publishers' Journal of Vibration and Control is retracting 60 papers authored or reviewed by Peter Chen. Image from the Journal of Vibration and Control. While investigating the JVC papers submitted and reviewed by Peter Chen, it was discovered that the author had created various aliases on SAGE Track, providing different email addresses to set up more than one account. Consequently, SAGE scrutinised further the co-authors of and reviewers selected for Peter Chen’s papers, [and] these names appeared to form part of a peer review ring. When SAGE and its then-editor-in-chief confronted Chen, he didn’t cooperate with the investigation, so in September 2013 SAGE notified National Pingtung University of Education. Chen resigned at the beginning of February. Retraction Watch reports that in a follow-up statement, SAGE said that 130 fake accounts seem to have been involved in the ring. Still, the publisher feels that its intensive, multi-year investigation has uncovered the totality of the fraud. Although attempts to mislead the academic community are extremely rare, there will occasionally be fraudulent and unethical individuals seeking to abuse the system. Both SAGE and Journal of Vibration and Control are committed to upholding the true spirit of peer review while continuing to introduce new measures to reinforce the review process. Hopefully SAGE really has contained the problem. It may not quite be a breezy beach read, but the Journal of Vibration and Control doesn’t need any more drama.